MAZ is a cloud-based suite of tools to manage all the aspects of content logistics, specifically distribution, from a single user-friendly dashboard. Premier publishers like Bloomberg and Condé Nast are already using the software, and most recently the new WIRED app for Apple TV was built completely with MAZ, requiring absolutely no coding. 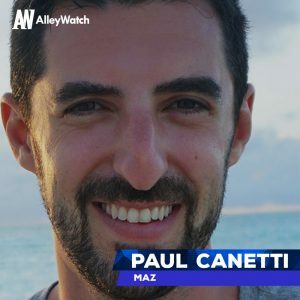 AlleyWatch sat down with CEO and cofounder Paul Canetti about what it means to be the first to market and create a completely new software category content logistics. This is the third funding round for the eight-year-old NYC startup. MAZ took on a strategic equity investment from publicly traded company LSC Communications, Inc. It was a Series A for MAZ. Why take financing from a publicly traded company versus the traditional venture route? We raised a seed round in 2012 ($1M, for a total raised prior to this of $2.1M, the last of which was in 2013), and have been running profitably. Rather than going out into the VC market to raise, we instead were looking for distribution partners, and LSC Communications is one of the world’s largest physical logistics companies. There is a natural alignment since MAZ has built a digital logistics solution. This investment from LSC is paired with an exclusive reseller agreement, which means that LSC will be offering our content logistics system to their broad base of magazine, book, and brand marketing customers. Tell us about the product or service that MAZ offers. MAZ is the world’s first content logistics system, created to solve the issue that all companies face of delivering their content to an ever-growing/unscalable list of social platforms, devices and operating systems. 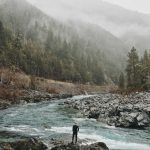 Most companies solve these content logistics problems by hiring developers to manually build out each distribution output one-by-one, only to find themselves needing to build again and again as new output types inevitably emerge. MAZ is a cloud-based software suite that manages the processing, filtering, packaging, and shipping of content to current and emerging outputs, all from a single dashboard, at a fraction of the cost. 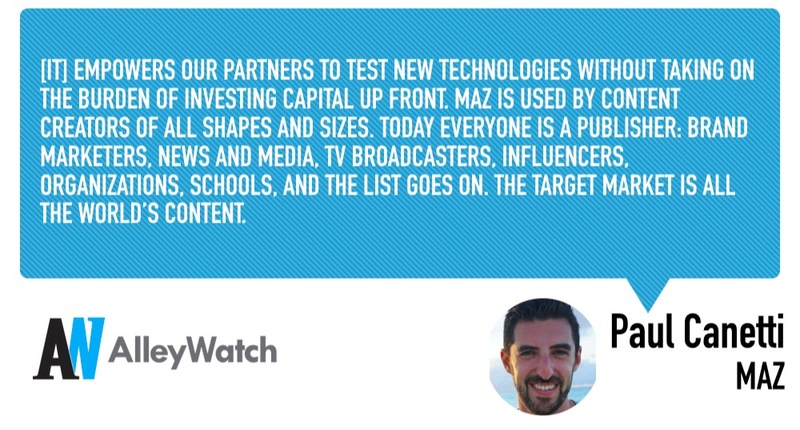 MAZ is currently used by companies like Bloomberg, Condé Nast, Forbes, Hearst, and hundreds of other media companies and brands. For instance, the new WIRED app for Apple TV was built 100% using MAZ, with zero coding. What inspired you to start MAZ? My fellow cofounders and I were former Adobe and Apple designers and engineers. We wanted to build a platform that converted print publications to a PDF format for the newly launched iPad. Over time, that technology evolved to support native mobile applications, OTT apps, wearables and now, MAZ currently supports over 25 different distribution outputs including Amazon Alexa, Facebook, YouTube, Slack, and many more. You can input content once and output it anywhere, with the flip of a switch. MAZ is the first content logistics system. We were first to market and created this software category. The alternatives are in-house teams and custom development agencies that take too long and are expensive, building one-off solutions each time. MAZ empowers our partners to test new technologies without taking on the burden of investing capital up front. 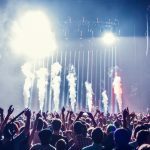 What market does MAZ target and how big is it? MAZ is used by content creators of all shapes and sizes. Today everyone is a publisher: brand marketers, news and media, TV broadcasters, influencers, organizations, schools, and the list goes on. The target market is all the world’s content. Monthly SaaS: partners pay a flat monthly fee and get access to the full capabilities of our CLS. Since this was built around an alignment in strategic vision, it came about quite organically, rather than our previous fundraising efforts which were much more traditional, going out into the open market of VCs and angel investors. 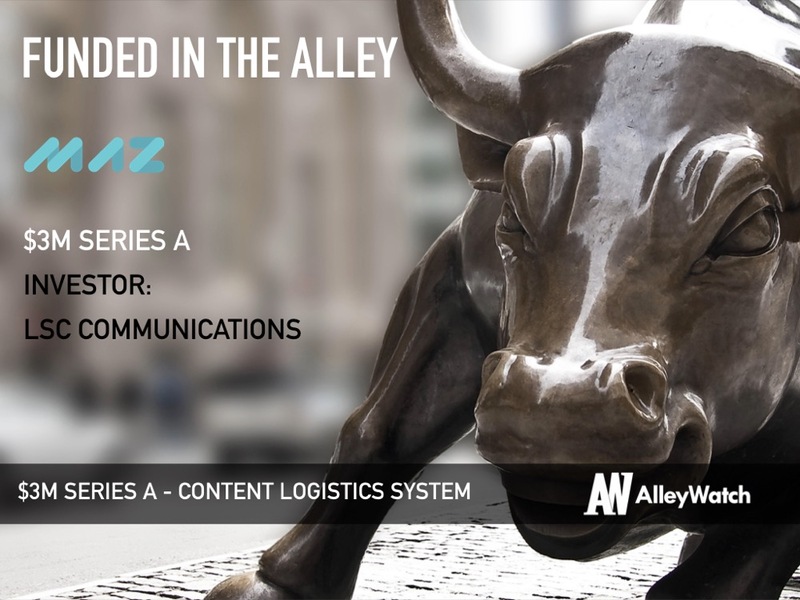 There is a clear alignment between our organizations: LSC is a multi-billion-dollar company that can distribute content physically, and MAZ is a young company that can distribute content digitally. Together, we represent a holistic solution for content logistics. Internally we are talking about pursuing our company’s same vision of solving the world’s content logistics problems, but doing it “bigger, better, faster”. Networking is everything, whether it comes to fundraising, sales, hiring, etc. Build yourself a solid network of other founders, VCs – whoever will sit down and get a coffee with you. Those coffees add up over time. We are looking to aggressively move deeper into the world of content marketing. Most content being created today is not by traditional publishers, it’s by brands. Sunac Fancy Foods, the local deli around the corner from our office!